The Juke-R, the child of a Nissan Juke, and a Nissan GT-R. Combined, they turn out some odd looking 530 horsepower(or is it 545 now?) mini SUV. 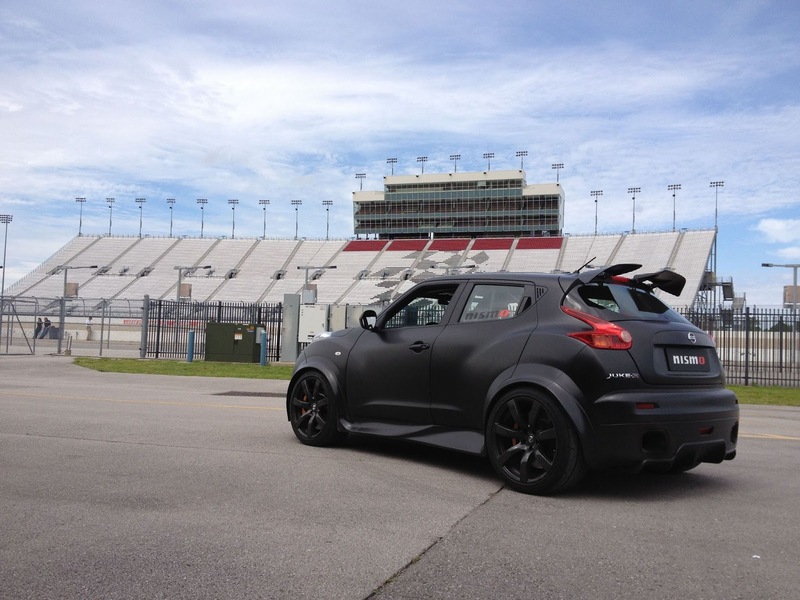 Nissan has one here in the US, and Road and Track Magazine look like they were out playing with it today. Not a bad Thursday. Interesting to see the prominent NISMO sticker on the side and the plate. More info and videos about the Nissan Juke-R here. More pictures from the NISMO performance academy.